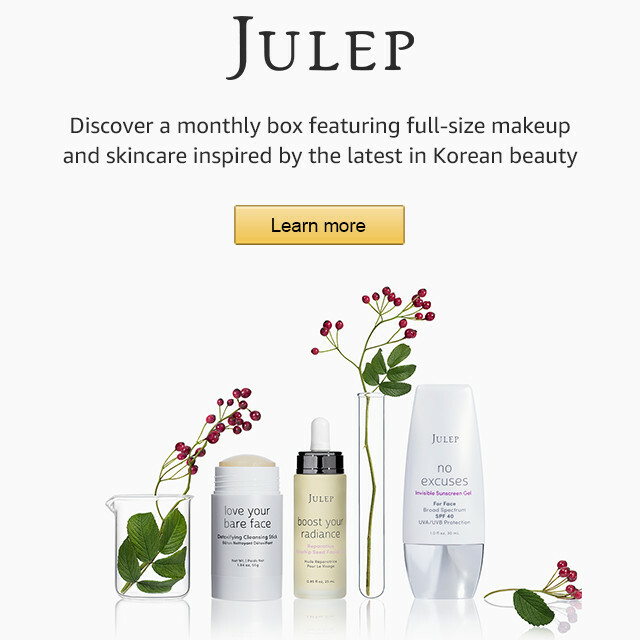 If you are looking to try a new beauty box subscription, then it is worth taking a look at Julep Beauty for Amazon. You'll receive two full-size skincare or makeup favorites right to your doorstep, inspired by the latest in Korean beauty innovations - for only $19.99 a month. With the Julep Beauty for Amazon subscription, we deliver full-size makeup and skincare right to your doorstep. Skip the beauty aisles and dig right into the fun with an on-trend assortment of colors and effective, easy-to-use skincare, destined to be your new favorites. Julep Beauty for Amazon: Enjoy a monthly curated beauty box with two-full size makeup and/or skincare picks for only $19.99 (Affiliate Links).